We are pleased to exhibit at 26th International Food Products & Technologies Exhibition in Istanbul-Turkey between 5-8 September 2018. The venue was a successful trade show event gathering many professionsla from around the world. Our products and supply possibilities attracted attention and we received many new inquiries from new prospective clients from around the World. Thank you for visiting our booth and your kind interest in establishing commercial relations with us. 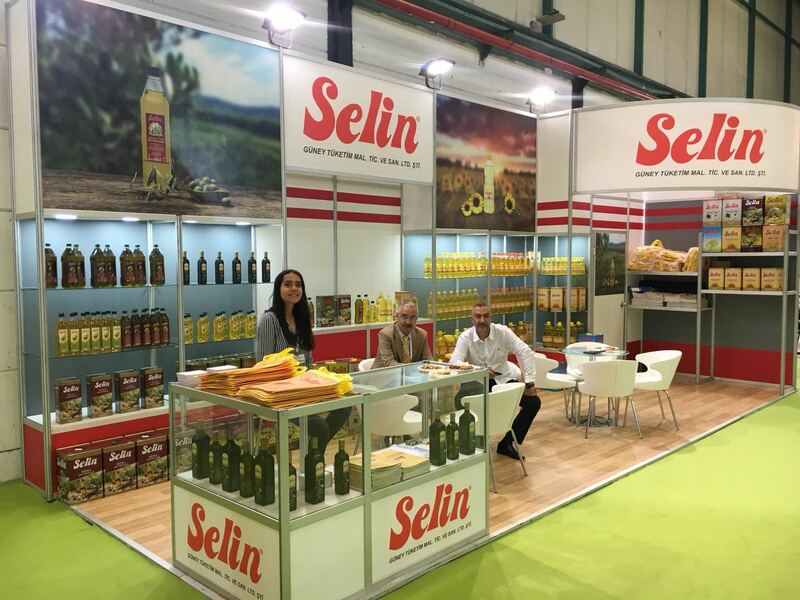 We exhibited our Olive Oil Range (Extra Virgin Olive Oil, Virgin Olive Oil, Pure Olive Oil and Olive Poamce Oil) as well as other Edible Cooking Oils like Refined Sunflower Oil, Refined Corn Oil and Canola Oil Products.